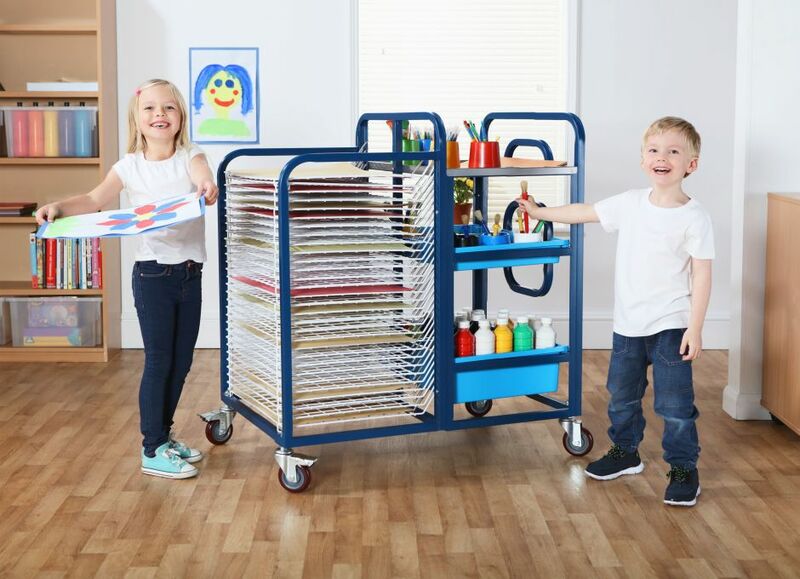 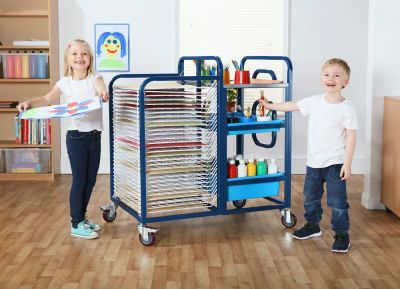 Superior heavy-duty Art trolley with multiple storage options, Gratnell trays, wipe clean metal shelving and a paper store. 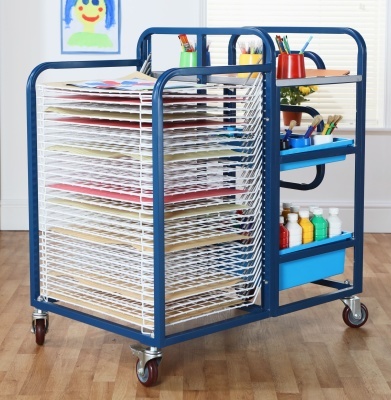 Heavy duty construction designed for long life in a busy school. Includes a spring-loaded paper dryer for up to 30 A2 sheets.